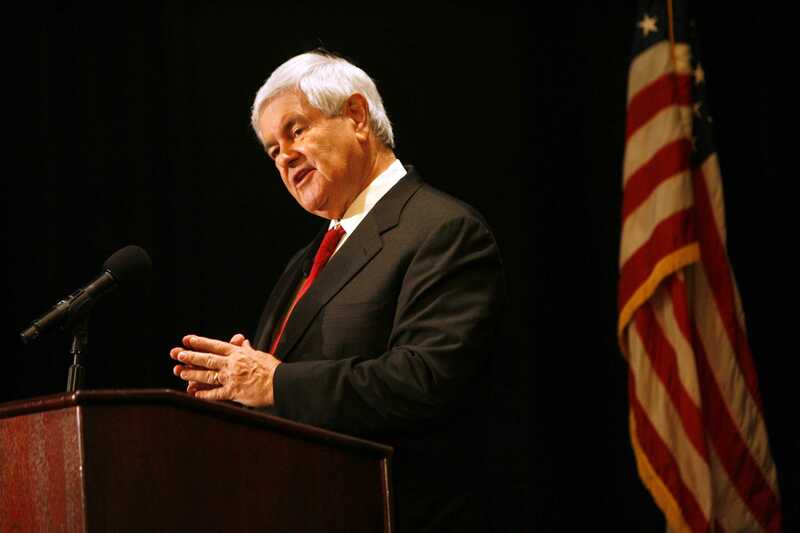 Newt Gingrich speaks during a policy seminar dubbed "Newt University" Monday, August 27, 2012 in Tampa, Florida. Northwestern College Republicans announced Tuesday that former Speaker of the House Newt Gingrich will speak Nov. 16 at its annual fall event. Gingrich, who ran an unsuccessful presidential bid in 2012, served as a United States representative from Georgia from 1979 to 1999. He also co-authored the “Contract with America,” a Republican plan to retake the U.S. House of Representatives. After the Contract’s release in 1994, Republicans successfully regained control of the House for the first time in 40 years. The event, free and open to the public, will be held in the Louis Room of Norris University Center. Flagler, a Weinberg senior, said NU students would get priority in the Q&A session. At this point, the group doesn’t know what Gingrich will speak about when he comes to NU later in November. Funding for the event was provided by Associated Student Government and a grant worth up to $20,000 from Young America’s Foundation, a conservative youth organization. As the event draws closer, College Republicans will be providing periodic updates on their Facebook page about themes and advance tickets, Flagler said.